1. A strategy that focuses only on the base will come up short, whether at the ballot box or as a policy win. It must be base plus. 2018 was not just a base election. Turning out the base was and will remain very important — but not sufficient. Turnout hit a 50-year high. But swing voters — independents, women and millennials — decided the outcomes. So too with 2020. 2. If you don’t address your opponent's argument, you lose by default. The economy wasn’t the top issue and wasn’t going to be the top issue. The economy came in third after health care and immigration. Yet, despite much pleading, the GOP ducked health care and didn't have a coherent message on immigration. That shouldn't happen again. 3. Keeping promises matter, particularly to already skeptical independents. In 2010, the Right told voters that if elected, they would stop the Affordable Care Act, then promised it again in 2012, 2014 and 2016. They didn't deliver. Lack of credibility was a massive problem for incumbents — making 2018 far tougher than 2016. The GOP has done pretty well on keeping promises to address taxes and the Supreme Court, but they need to think hard about how to earn back trust they squandered, particularly on health care. 4. Don't believe the hype. Just as Hillary Clinton was a “sure thing”, until the last month the GOP establishment and media punditry were certain of a blue wave. As a result, there were record GOP retirements, producing record numbers of less-defended open seats and ensuring more Democrat victories — though not a wave. The Right should stop buying the predictions of those with poor prediction track records and focus on the facts on the ground. If conservatives learn these lessons for 2018 and make important paradigm shifts in how they think about messaging strategy, they can do quite well in 2020. First, too many messaging professionals on the Right believe that you can’t persuade. As a result, ff there’s an issue where Republicans don’t poll well, the inclination is to say nothing, hope it goes away and talk about something else. Where there are issues that resonate, they talk about it in ways that drive a wedge and turn out the Republican base. Then, when doing so costs them the center, they think they have to shift their policies to the left. But they don’t have a policy problem; they have a marketing problem. Messaging outside the base to swing voters, also know as persuasion, does work — and is essential. Democrats have been doing it for years. But it is not achieved by just slapping a female or minority face onto base-derived messaging. Rather, it starts with understanding the concerns of those you are attempting to persuade and then addressing those concerns in a way that is credible to them. In addition to needing a more effective message, the Right ought to reconsider their messaging objective. Almost all advertising and promotion dollars on the Right are spent on defending and electing candidates. Issues are primarily used as a means to get donations and votes, not as ends to accomplish in themselves. A good example of this allocation prioritization came in the summer of 2017, when roughly $30 million was spent trying to help Luther Strange in his Alabama primary, yet very little was spent getting health-care reform explained, popular and passed. Investing in one candidate’s primary was important to that seat; investing in progress on health care — or even promises for 2019 with a new Congress — would have shaped the narrative going into 2018 for all incumbents and helped in far more than one Senate race. Here’s a third challenge: On the right, efforts to present policy or promote candidates are mostly done without preamble or buildup. Funding is consequently also cyclical and spent on elections rather than to policy fights. Contrast that with the Left, who create and promote ongoing narratives day in and day out — think pre-existing conditions, the current iteration of pushing grandma over the cliff. The Right must invest in breaking through with their own narrative and countering the Left’s misrepresentations every day. They should, day in and day out, correct misperceptions and improve awareness, understanding and approval of their key policy positions — not wait until just before dropping a piece of legislation or an election and presume everyone knows what they intend. If we learned anything from the midterms, it is this: Conservatives must start now to make their case and do so beyond the base. Now is the time to lay the groundwork for legislative and electoral victories and help change how those outside the base see the conservative brand. If swing voters see conservatives as the left paints them — as heartless callous racists and misogynists, we lose. If conservatives are seen as they see themselves, as helping all Americans succeed and flourish and have dignity and agency, we win. 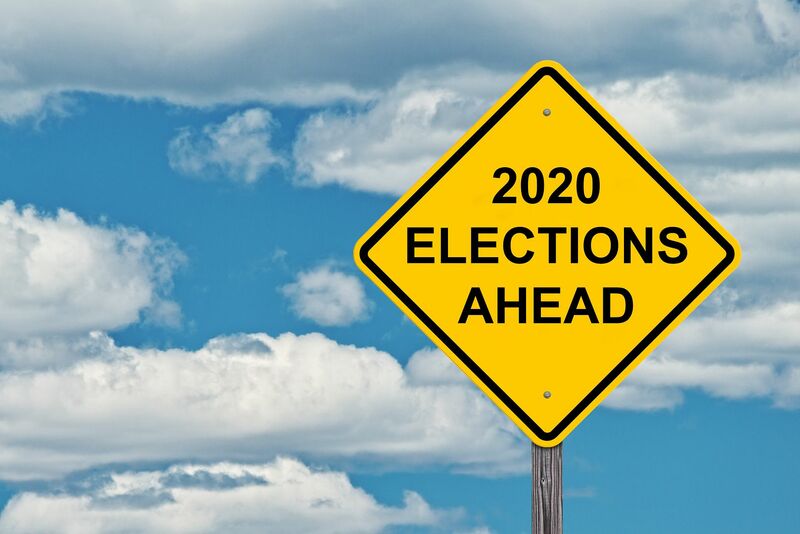 If the right is smart, laying the groundwork for a successful 2020 will start now.